Created by Frank Lloyd Wright Junior, the sun of Frank Lloyd Wright. 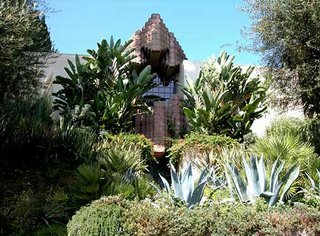 The Lloyd Wright Sowden House is a Landmark estate that is "a star in its own right" (LA Times). Featured in Architectural Digest 12/02. 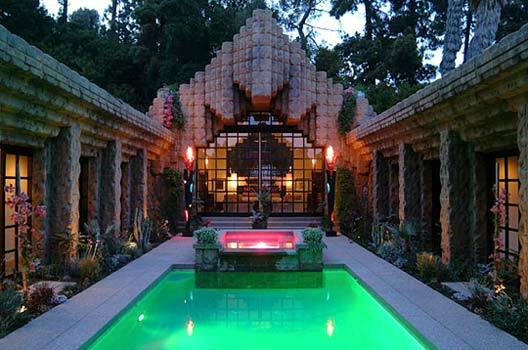 Architect Lloyd Wright designed this house in 1927. Is published as one of his finest works. Impressive decorative furnishings, library, media room, grmt kitchen, master suite has fireplace, dressing area, koi pond, hidden space for meditation. 3 add'l bedroom suites + maids w/separate ba, pool & spa. Owned by Xorin Balbes. Xorin Balbes restores old houses, and in 2001 he found a monumental challenge in a crumbling 1926 structure. 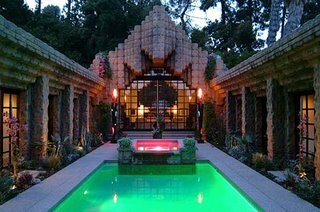 Built by Lloyd Wright, the son of renowned architect Frank Lloyd Wright, the Mayan-inspired building features earthen blocks stacked in a geometric pattern reminiscent of ancient temples. The blocks weave their way from outside to inside, giving the casual chic living room structure. Statues and icons are randomly scattered throughout the home, giving the place the feeling of a newly discovered jungle ruin. Luscious colors provide a vibrant backdrop for the ancient artifacts. 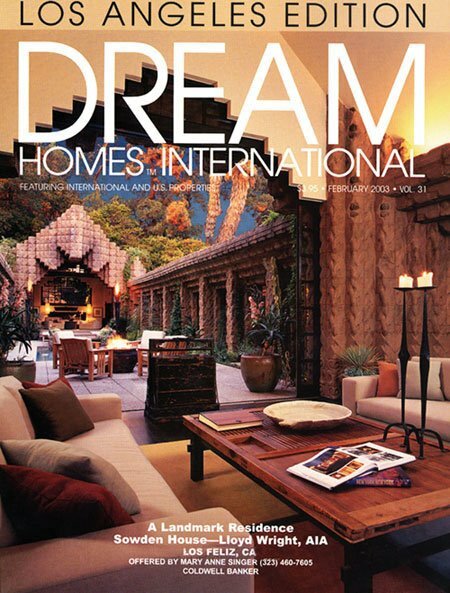 Balbes has brought life and vitality back to a neglected structure, creating a truly amazing home.